Last week, I wrote about how I spent the last few weeks of December working through our strategic plan for FY2015. As I started the new year, I felt prepared and confident about the road ahead. But when you run a company, it’s not good enough for YOU to understand the plan. Your most important job is making sure ALL of your employees and contractors understand the plan too. 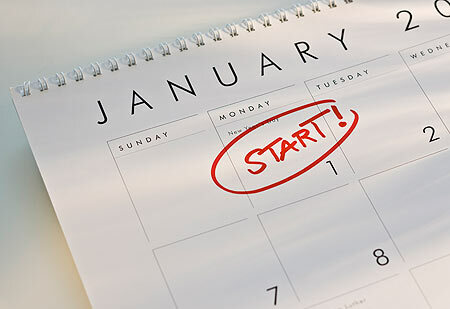 1) Preview your plan with a few employees: When you kick-off the year, you want to make sure that you have a few people in the room that have heard part of the story ahead of time. Choose a couple of people from your organization, and tell them a little about the plan. In my case, I made sure that the Executive Team was all on the same page, and I spoke ahead of time with a few other people. You don’t need to provide all of the details in these meetings. Just share enough so that the important pieces aren’t a total surprise to everyone in the room. This will go a long way towards helping you build consensus and momentum among the whole team. 3) Set the company bonus: Once you communicate the strategy for the year, I believe it’s important to set a bonus for employees that aligns with your strategy. At Punchbowl, we offer a cash bonus of 10% of your base salary based on achieving the goals. I split the bonus between the quarterly priorities (50%) and year-long goals (50%). For each quarter, there are 3 business priorities and 3 product priorities. That’s a total of 24 priorities for the year. In addition, we set out ambitious objectives based on our company’s strategy. This methodology helps align what employees do everyday with their bonus, and also ensures that employees succeed when the company succeeds. 4) Ask for feedback: The last part of your kick-off plan is to ask your team for feedback about the kick-off meeting and strategy. Include questions like “What did you think of the kick-off meeting? Are you clear on our fiscal year strategy? Why or why not?” and “What components of our strategy are you most/least excited about?” You’ll find that certain people who don’t have much to say in a group setting have a lot to say over email. And you’ll also see commonalities among what people think. Finally, it’s an opportunity to learn what parts of your strategy still need to be emphasized in future team meetings. KEY TAKEAWAY: As a small company CEO, it’s critical to kick-off the year right. If you follow my plan, you will have everything you need to get your team on the same page and be successful for the year. As I write this post, it’s still early January — so it’s not too late to kick-off the year right. There’s nothing else on your plate that’s more important.